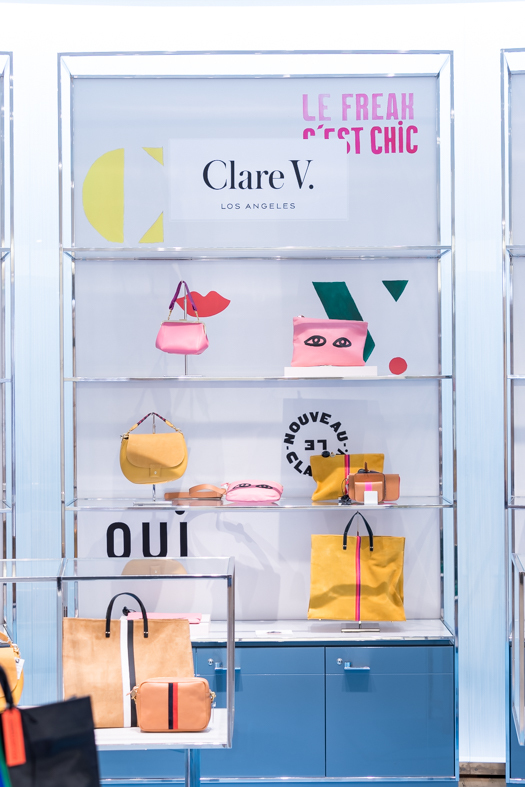 “Los Angeles Rive Gauche” is a 2 months exhibition curated by Le Bon Marché which celebrates the thriving culture and lifestyle of the iconic City of Angels. 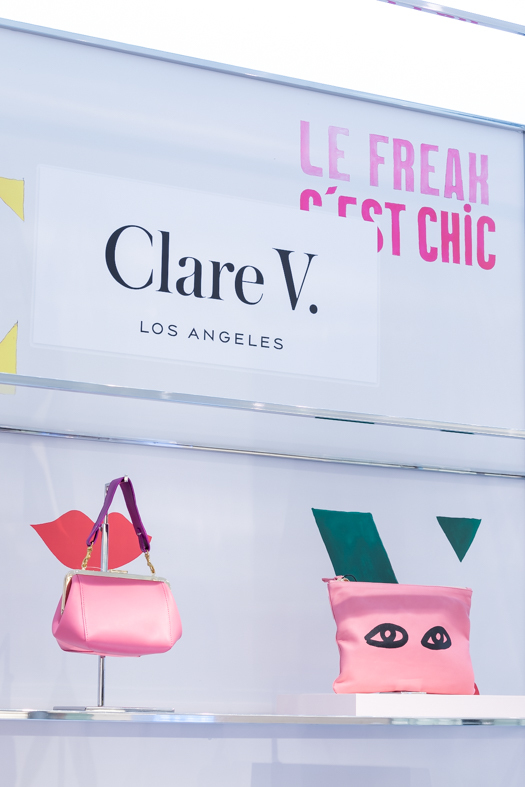 Clare V. was invited as a feature guest to celebrate the laid-back yet crafted L.A. fashion sense. 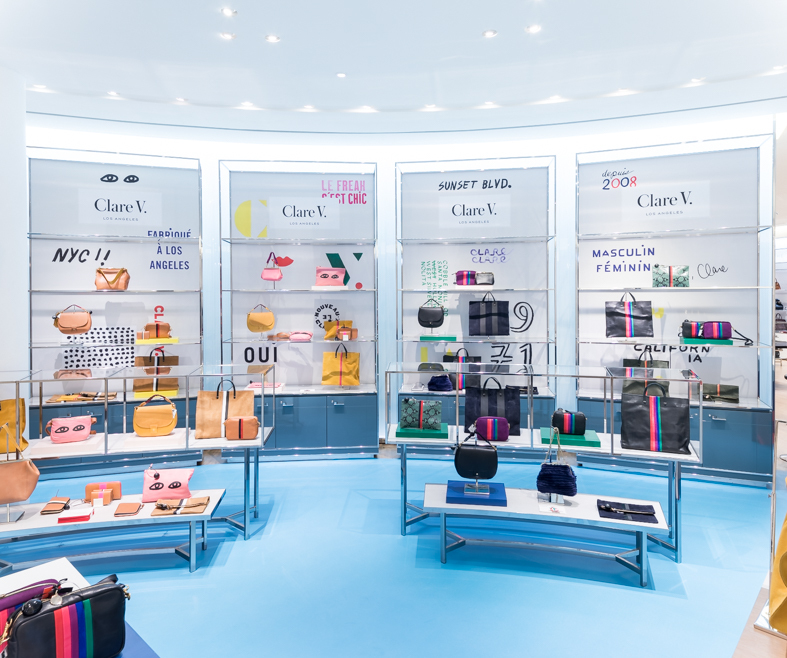 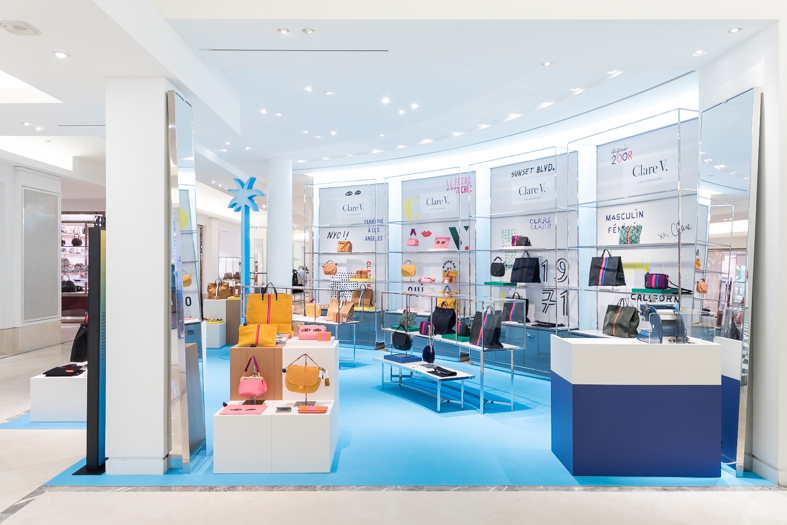 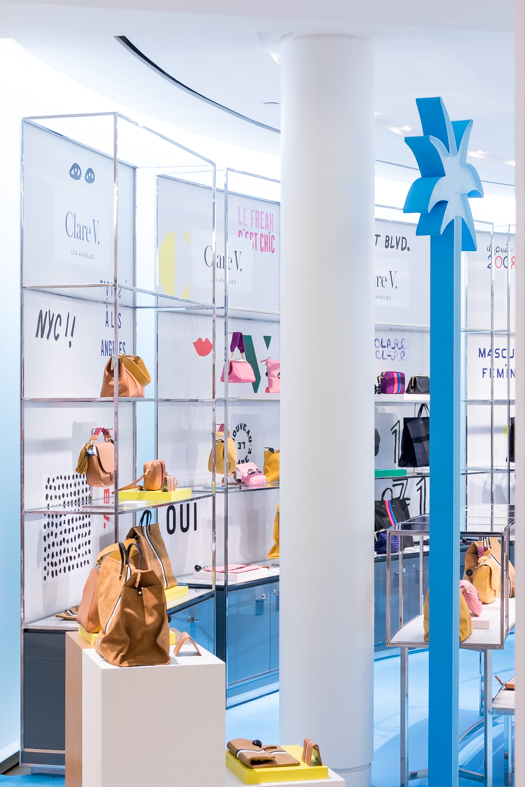 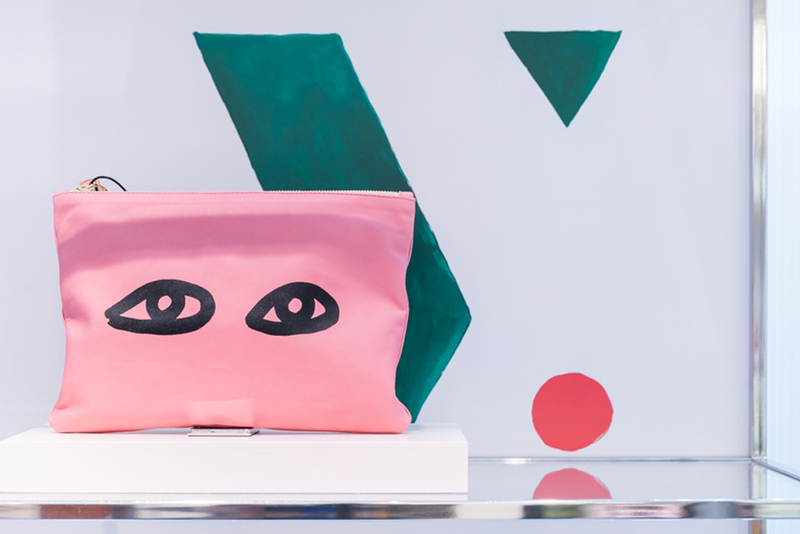 The Clare V. pop-up is situated in a key area on ground floor at the main corner entrance. 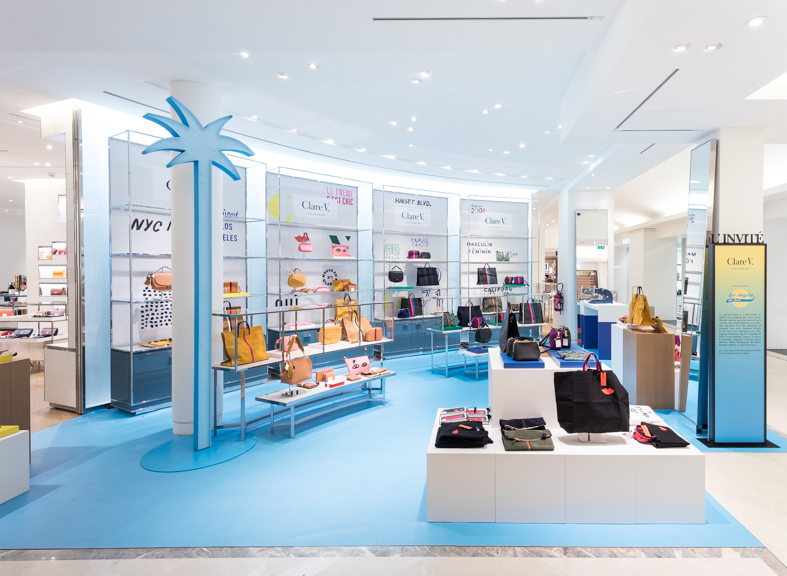 Takagicapéran’s approach was to create a joyful yet simple environment to showcase the bold and refined products. 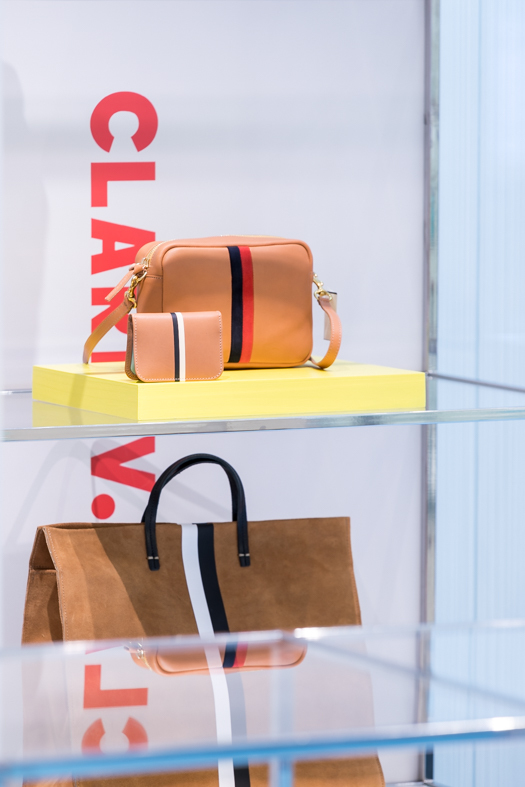 Timber and cream plinths allow for collections to be displayed while back wall units were dressed with iconic graphics to further showcase the accessory ranges. 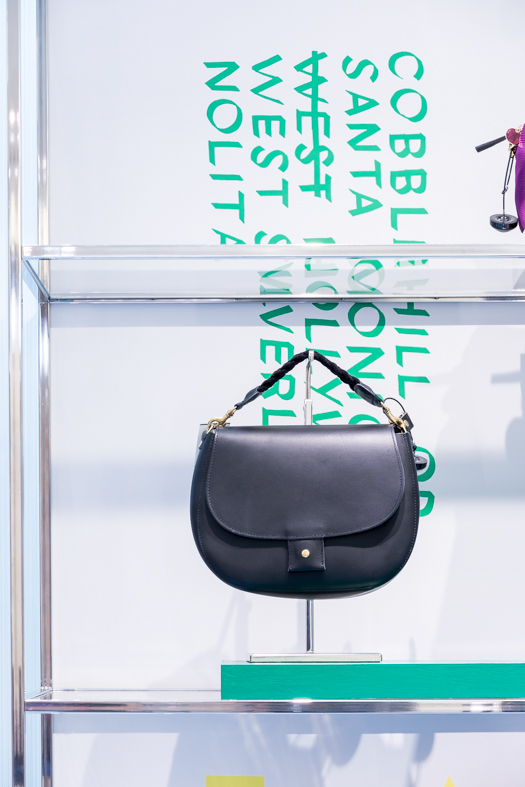 An embossing station provides a bespoke finish to each items which can be personalised on demand.